There are 300 guest rooms spread throughout the sleek 28-story tower. Decorated in greys and whites with accents of maroon, rooms are designed for both work and pleasure. Long desks with ergonomic chairs as well as all the adapters and converters guests may need provide the perfect place to compose emails and surf the Internet. Comfortable beds made up with down comforters and soft and firm pillows are waiting to refresh and recharge visitors. Bathrooms feature rainshowers and come stocked with bathrobes and hair dryers. Free WIFI is also available in all rooms and throughout the property. 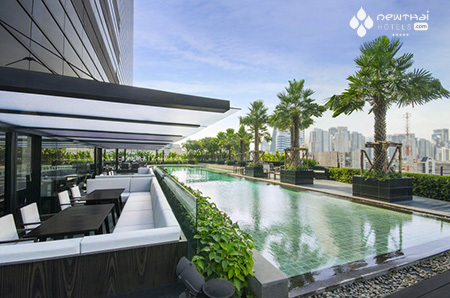 Holiday Inn Bangkok Sukhumvit 22 boasts a list of amenities to keep guests active and entertained. An outdoor lap pool offers a place to swim laps or to splash around for fun and a 24-hour fitness center is stocked with cardio machines and weights. The hotel highlight for both guests and non-guests is cantilevered rooftop restaurant and bar serving Indian cuisine. The property offers meeting and banquet rooms for various functions including a pillar-less ballroom that seats 500 people. All are equipped with the latest and greatest technology to keep events running smoothly. The Holiday Inn Bangkok Sukhumvit 22 also offers catering options ranging from an international breakfast buffet to Indian food for lunch or dinner to coffee and tea during breaks. 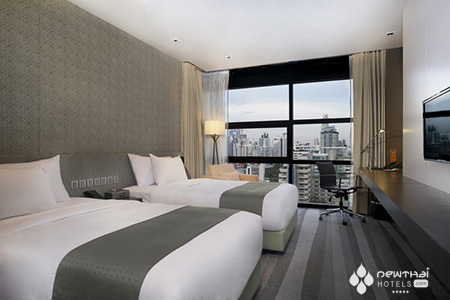 As for location, the Holiday Inn Bangkok Sukhumvit is just 30 minutes Suvarnabhumi International Airport. 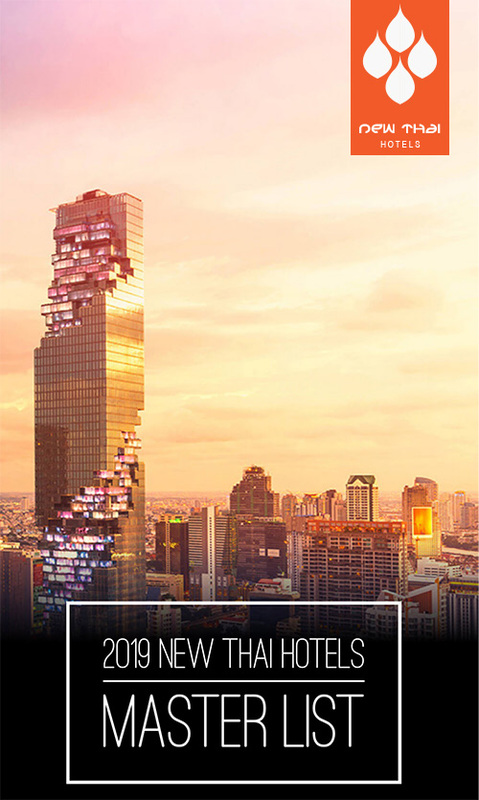 It’s also between the Asok and Phrom Phong BTS Skytrain as well as close to great shopping, historical attractions, restaurants and bars and entertainment. This entry was posted on Thursday, May 9th, 2013 at 11:19 am and is filed under Openings. You can follow any responses to this entry through the RSS 2.0 feed. You can skip to the end and leave a response. Pinging is currently not allowed. I would like to apply fpr a position pastry chef . Please consider of might mind.